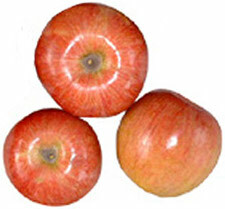 It is generally accepted that the apple originated from hybridisation predominately between two Malus species, Malus sylvestris and Malus pumila, that are widespread in Southwest Asia, particularly the Caucasus. The former is also extensively distributed in Western Europe, including Britain. 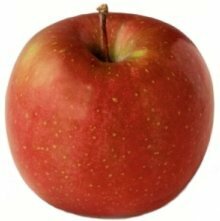 The development of the apple can be traced from the Caucasus as early as 6500BC, to the Middle East and Egypt and thence to Greece and subsequently Rome, and from there across Europe and to Britain. Thereafter, colonists introduced the fruit throughout the world, its value as a highly useful and versatile food having been long since been fully recognised. Natural hybridisation has always been at a high level and numerous leading culivars of today (e.g. ‘Cox’s Orange Pippin’ and ‘Golden Delicious’) originated as chance seedlings rather than from controlled crosses. Some recent introductions have been improved selections of existing popular cultivars, usually in fruit colour and/or tree form (e.g. spur types), some occurring naturally, some induced by irradiation of the propagating material in the first instance. However, breeding programmes in many countries are continually introducing new cultivars. 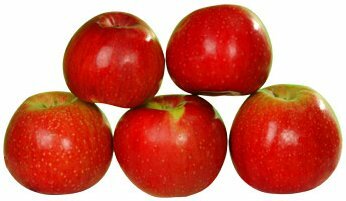 Malus baccata has also been used in breeding programmes to induce hardiness and disease resistance. 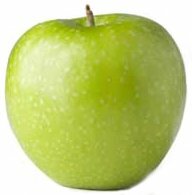 Apples are now grown in many parts of the world with extensive commercial planting in developing countries, including Pakistan, India, Iraq, Brasil and Chile. Even countries in latitudes not normally conducive to successful apple-growing have developed techniques for their limited production, as in the Philippines where, with the aid of sites at a suitable altitiude and manual defoliation of the trees, reasonable cropping is attained. Day-length and insufficiently low temperatures to induce adequate dormancy are the predominant limiting factors in such latitudes. In Britain any limited development of the apple in the Middle Ages was largely connected with monastic estates. During the 16th and 17th centuries there was more rapid progress, with the continued importation of new cultivars from France and the planting of many more orchards. One or two cultivars introduced during this period still exist today, like ‘Flower of Kent’. By the 18th century apples were widely grown in gardens. The age of the Victorian walled gardens witnessed an insatiable demand for more and more new cultivars. Speciaist nurseries were developed to meet this demand and produced a steady flow of high-quality trees, often including an annual introduction of their newest seedlings. Both domestic and commercial planting became more and more extensive, the latter reaching its peak during between 1950 and 1960. Subsequent competition within the European Community has resulted in a decline of commercial acreage in the UK. Primary climatic requirements for best fruit quality and flavour are warm summer temperatures, relative freedom from spring frosts, reasonable protection from wind (especially cold winds, which can adversely affect fruit-set at flowering time), and moderate, evenly distributed annual rainfall of 600-800mm. However, successful garden cultivation of the apple, given the right site, soil and cultivar, is quite possible in many higher rainfall areas. Knowledge of cultivars that succeed locally is essential in such situations, and rootstock choice is equally important. Creation of locally favourable conditions in a garden is often attainable, such as the use of trained trees against walls or fences which offer a warmer and drier microclimate, and the judicous planting of windbreaks to afford shelter and warmth on higher ground. For shelter against prevailing winds a screen of shrubs or small trees is preferable to a wall or fence – it allows the wind to filter through. Solid protection merely deflects winds upwards for a short distance before they swirl downwards again to cause even greater problems. For commercial orchards a mixture of evergreen and deciduous species and/or an early-leafing deciduous selection is best to ensure adequate protection and warmth at flowering time. Certain poplars are valuable as key windbreaks at the perimeter of extensive plantings but within an orchard less invasive species (such as Alnus cordata and particular selections of Salix, possibly alternated with Leyland cypress) should be used. In other parts of the world, with warmer and/or drier climates, particular attention to irrigation is essential. Higher ground, giving cooler conditions and a more pronounced dormant period, is often conducive to greater success, as shown in Australia and South Africa. Expert local knowledge will also indicate which cultivars are suitable for a particular area. A wide range of soils is acceptable, those with deep, medium loam being the best. Serious problems may be met on highly calcareous, very sandy or very stony areas, and although heavier silts and clays can produce excellent crops they not only tend to induce lateness (because of being wet and cold), but may also cause serious problems, notably diseases like canker and phytophthora root rot, if there is any tendency to waterlogging. Equally, where hard pans exist (often caused by ploughing), these need rectification before planting on any scale. A pH range of 6.5-6.8 is ideal. Readings below 6.0 and above 7.0 usually call for adjustment. Where drainage is suspect but the soil type is otherwise acceptable, action must be atken to improve it. In the garden, if drainage is impractical the development of raised beds, particularly by means of imported soil, compost, peat and leafmould is often possible. Commercially, extensive drainage schemes are effected through mechanised techniques. Over the centuries, seedlings raised from particular cultivars were identified as being the most reliable rootstocks for producing reasonably uniform trees with a capacity for successful cropping. Originally seeds from the pomace from cider-making were frequently used, but the resulting rootstocks did not give the uniformity or dwarfness imparted by the French Paradise rootstocks that were successfully raised from cuttings and suckers from the 16th century onwards. Another old rootstock type, the Doucin, produced more vigorous trees. By the 19th century there was considerable confusion over the nomenclature of the many rootstock selections. Initial selection and experimentation carried out by the Royal Horticultural Society at Chiswick was not pursued and it was not until the early 20th century that Hatton’s classic work on rootstocks at East Malling Research Station began not only to unravel the confusion but also to identify positively the clonal rootstocks that were the forerunners of those in use internationally today. 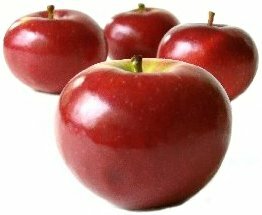 For many years M16 (very vigorous), M1 (vigorous) and M2 (moderately vigorous) were widely used, while M9 (dwarfing) continues to be one of the most popular and invaluable rootstocks for apples. It imparts early cropping and an exeptional percentage of good-sized fruits, which makes it a particularly valuable stock for commercial orchards. In common with all dwarfing rootstocks, however, there is a need for trees on M9 to be staked and tied throughout their lives. More recently the Malling/Merton series of rootstocks (resulting from collaboration between East Malling and the John Innes Institute, then at Merton) was introduced in the 1950’s, from which MM106 has emerged as an important addition to the moderately vigorous selections, and MM111 as a vigorous stock. Subsequently M26 (moderately dwarfing) and M25 (very vigorous) from East Malling were released to add to the range, and most recently M27 has been introduced for the production of very dwarf trees, useful especially for containerised specimens, including ornamental Malus. The use of clonal rootstocks outside Western Europe has been variable. 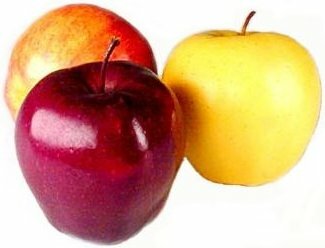 In Australia and the US, ‘Northern Spy’ is still widely used due largely to its resistance to woolly aphid and to drought. However, garden trees on the more dwarfing, clonal rootstocks are often available, although careful husbandry is called for, particularly in drier areas. The ‘family’ or ‘several-in-one’ tree is an option for the garden, the original tree of one popular cultivar having (usually) two or three other suitable cultivars grafted onto its branches. Thus with careful choice one tree can produce fruit to cover a prolonged season rather than a glut of one cultivar. Recommended Cultivars. Seasons given are of use without cold storage, which for early varieties is late summer; for mid-season, autumn to early winter; for late, winter to spring. [LK] indicates very long keeping. [FQ] indicates well-recognised flavour quality and [TB] tip bearer. Dessert Early: ‘Anna’, ‘Beacon’, ‘Beverly Hills’, ‘Carroll’ [LK], ‘Discovery’ [TB], ‘Dorsett’, ‘Eia Shewer’, ‘Epicure’ [FQ], ‘George Cave’, ‘Heyer 12 (cold-hardy), ‘Irish Peach’ [TB], ‘Lodi’, ‘Mantet’, ‘Mollie’s Delicious’, ‘Ozark Gold’. Mid-season: ‘Akane’, ‘Cox’s Orange Pippin’ [FQ] (not always easy to grow), ‘Egremont Russet’ [FQ], ‘Ellison’s Orange’, ‘Empire’ [LK], ‘Fuji’, ‘Hawaii’ (pineapple flavour), ‘Honeygold’ (improvement on ‘Golden Delicious’), ‘Golden Delicious’ (‘Yellow Delicious’) (does not store well), ‘James Grieve’, ‘Jonathan’, ‘Lord Lambourne’ [TB], ‘Macoun’ (best of McIntosh group), ‘McIntosh’ (cold-hardy), ‘Melrose’, ‘Pink Pearl’ [FQ], (pink flesh), ‘Red Delicious’ (most widely grown apple worldwide), ‘St Edmund’s Pippin’ [FQ], ‘Ribston Pippin’ [FQ], ‘Spartan’, ‘Sunset’ [FQ], ‘Sweet Sixteen’ (cold-hardy), ‘Worcester Pearmain’. Late: ‘Ashmead’s Kernel’ [FQ], ‘Braeburn’, ‘Cortland’, ‘Fiesta’, ‘Fireside’ [LK], ‘Gala’, ‘Granny Smith’ (tart, but sweeter after storing), ‘Kidd’s Orange Red’, ‘Jonagold’ [FQ], [LK], ‘Orleans Reinette’ [FQ], ‘Mutsu’ [LK], ‘Pixie’ [FQ], ‘Tydeman’s Late Orange’ [FQ], ‘Wealthy’. Cookers Early: ‘Emmeth Early’ (‘Early Victoria’), ‘Grenadier’, ‘George Neal’ [FQ], ‘Red Astrachan’. Mid-season: ‘Golden Noble’ [TB], ‘Peasgood’s Nonsuch’, ‘Pound Sweet’ (very large), ‘Rev. W. Wilks’, ‘Tolman Sweet’, ‘Warner’s King’. Late: ‘Blenheim Orange’ [TB], ‘Bramley’s Seedling’ [TB; very large), ‘Edward VII’ [LK], ‘Lane’s Prince Albert’, ‘Newton Wonder’. For garden purposes, plant cordons 75cm apart in rows 1.8m apart; dwarf pyramids 1.2m apart in rows 2m apart; spindlebushes 2m apart in rows 4m apart; bushes 3-5m apart in rows 5-6m apart; espaliers and fans a minimum of 2.5m apart on dwarfing rootstock, extending to 3-4m for vigorous trees. Local systems and conditions will dictate specific planting distances for various parts of the world. For commercial orchards, planting distances would not only accommodate the requirements already outlined but also the machinery and equipment being used. Apple trees are best planted in the early part of the winter when soil is still comparatively warm and where ground conditions allow, but later planting is acceptable, although drying out of the roots in spring must be avoided. Planting must be to the nursery soil mark (or slightly deeper where the bud or graft union is well clear of the ground). Care must be taken not to injure the trunk, particularly around the base in case there is any risk of collar rot disease (Phytophthora). In the more northerly states of the US, spring planting is preferred once frozen conditions have completely cleared. Watering in layer by layer of soil during planting may be essential in drier areas of Australia, South Africa, etc., followed by further irrigation to aid establishment. The apple is very adaptable to training and almost any shape of tree can be created with the right technique, commencing with a maiden tree, preferably feathered. The large old standard and half-standard trees and the management problems they posed have been superseded, certainly in the UK and Western Europe, by the advent of the more dwarfing rootstocks. Although many large old trees still exist in gardens, modern plantings both domestic and commercial are usually of trees that are only 2-3m high when fully grown. This aids management markedly through easier spraying, pruning and picking. Tree forms can be grouped broadly into two types: (a) free growing, including bush, spindlebush and its variations, and delayed open-centre, half-standard and full standard; and (b) trained, including cordon and its various forms, espalier, dwarf pyramid, fan and palmette and, exceptionally, very specialist forms (e.g. arcure). All of these require either wires on walls, fences or other support. Tip-bearers are not ideal subjects for trained trees. Of these tree forms the oblique cordon, espalier, fan, dwarf pyramid and bush are the most appropriate for garden cultivation. For the commercial orchard, a form of centre-leader or spindle-bush is widely used, with the palmette also grown extensively in southern Europe. In the US, Australia and South Africa the large bush is favoured, influenced by greater land availablity and sometimes by partly mechanised harvesting. A feathered maiden is preferable to an unfeathered one, giving the immediate advantage of existing laterals. For an oblique cordon, such laterals should be shortened to three buds where more than 10cm long. The leader is not pruned but should be shortened by a quarter of the cordons length on a tip-bearing cultivar. Subsequently, summer pruning should be practised regularly and winter pruning restricted mainly to thinning out spurs on older trees. Oblique cordons should be planted at 45º with the bud/graft union on the upper side; as the cordon grows the tree should be lowered to a narrower angle to the horizontal, thus accommodating a longer length of tree. Other forms of cordon (e.g. U and double-U), require a substantially longer period of training to establish the framework of branches. For the U cordon a feathered maiden tree may be cut back to some 30-45cm where two suitable laterals can be used to commence forming the U. With and unfeathered maiden, similarly shortened, two good shoots would be selected for the same purpose as they develop. The two shoots should be trained near-horizontal until the tips are 30-45cm apart from whence they should be allowed to develop vertically. For the double-U cordon, proceed initially as for the U but allow 60cm before the growths turn vertical. These two shoots are then shortened the following winter to about 15cm above the point where they become vertical. During the summer the training process is repeated on each shoot, i.e. two suitable new growths are selected from each which are again trained initially near horizontal and then turned vertical. This then gives four upright branches (or double-U) each of which is treated as for the oblique cordon. However, upright branches can encourage excessive top growth, which the oblique, cordon does not, and this calls for careful management, cutting out over-vigorous shoots as soon as seen. The basic principal is the development of successive tiers of branches about 40cm apart in a single plane at right angles to the trunk. The number of tiers is optional but the greater the number of tiers required, the more vigorous the rootstock necessary. Good management is needed to avoid top growth becoming dominant (which will happen, inevitably, with neglect). Training consists of cutting the maiden back to 5cm above the first support wire and selecting two existing or subsequent growths to train initially at 45º and subsequently at right angles to the main stem, one on either side. Additionally, the top most growth should be retained to continue the vertical development of the main stem and then shortened the following winter some 5cm above the next support wire for the process to be repeated. This technique continues until the desired number of tiers has been established, each tier being trained along a support wire (following initial support at 45º by a bamboo cane until growth is hardened and less likely to be damaged by rubbing). Each tier is then treated for pruning exactly as for cordons with the central leader extension finally cut out once the desired number of tiers has been safely achieved. Where the two growths forming a tier are unequal in vigour the stronger should be depressed and the weaker lifted to near-vertical to encourage growth, subsequently replacing to the horizontal. The fan-trained tree is an excellent way of covering a wall or fence. It is preferable that the tree is formed from two initial shoots growing at abot 40º to the ground (any others are stopped at two leaves), having pruned the maiden back to about 45cm, rather than utilising existing maiden laterals to form a herringbone radiating from the central stem. This latter method, like the espalier, can induce uncontrollable top growth under poor management. Correct procedure for training is first to cut out the central stem in summer once the two initial growths are safely established, and to shorten these in the winter by about one-third. The following summer on each shoot there should develop a terminal extension shoot, one shoot on the lower side and two on the upper side as equally spaced as possible. By repeating the treatment the whole area is soon clothed in 3-4 years with each major branch being treated as a cordon. Although bare initially, the central area covered by the fan wiil automatically become clothed with branches within two or three years. Any excessively vigorous shoots should then be removed completely. A feathered maiden is ideal since the laterals offer a ready-made framework for the tree. They should be shortened to about 15cm in late winter and the central leader pruned to a good bud at around 50cm. Where feathers are lacking or absent, cut the maiden to a bud at some 50cm above ground to induce the development of side shoots, which are then shortened to 15cm in winter. Allow the top bud to grow and extend the central stem. Pinch out the two shoots immediately below if they are at too narrow an angle to the stem. During the following winter laterals are again pruned back to 15-20cm and the central leader to 20-25cm of new growth. From the third summer on summer pruning is practised, leaving only the central leader to be shortened in winter. In this case, initial formation is towards establishing four basal near-horizontal branches 60-70cm above ground level. Choose for this four well-spaced laterals and prune them by half to a downward pointing bud. Cut the central leader to approximately 90cm and remove any overcrowded laterals on it. Leave the remainder unpruned to develop fruit buds for early fruiting. They are then removed or shortened a year or two later to encourage young replacement growth. It is important to tie or weigh down strong upright shoots to about 20º in late summer to curb growth and induce fruit bud formation. Excessively vigorous shoots should be removed completely, especially any in direct competition with the central leader. In the second winter choose three or four well-placed laterals to form a second tier of branches. There are varying opinions on the best branch framework to establish but in principle the number of branches should be restricted to ensure maximum exposure to the sun. A pyramid shape must therefore be maintained, the largest permanent branches being at the lower part of the tree. The open-centre bush or goblet is suitable for larger gardens. It is capable of producing large quantities of fruit but this requires a central support stake to which the branches can be ‘maypoled’. The central stem is stopped at approximately 65-75cm above ground. Where feathered maidens are used, three or four well-positioned laterals should be retained and shortened to one-third of their length to build the branch framework. All other laterals should be removed completely. On unfeathered maidens three or four good new shoots should be developed for the same purpose and similarly shortened the following winter. Subsequently, further shoots are chosen to produce more branches, the winter-shortening of these gradually diminishing, even ceasing once the desired framework has been attained. An open centre is necessary to allow maximum exposure to the sun. The half-standard and standard are similarly formed but cutting the maiden at approximately 1m for the former and 1.75m for the latter. Growth will be proportionally stronger due to the use of a more vigorous rootstock, but the same pruning ratios are observed for the first two years. The delayed open-centre tree is developed by extending the central stem to some 1.5m to accommodate extra tiers of branches, but is now seldom used, the centre-leader type tree being more successful. This is a loosely formed fan-shaped development of branches trained onto support wires. 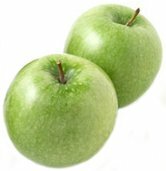 It is popular in commercial orchards in southern Europe and also in Australia and South Africa, where light levels allow for greater vertical development than is acceptable further north. Initial shoots are selected from the main central stem and trained at 30º onto support wires to provide the main framework. Many other variations of tree form will be found. In Australia the Bouche-Thomas oblique hedge is sometimes used in gardens, and bush and centre-leader (spindlebush type) trees are universally popular. The improved light levels and temperatures of such latitudes allow greater density of growth than is acceptable in the UK. An example is the popularity of the palmette in Italy where tree height is much greater and inter-row distances much less than could be tolerated further north. This form of apple tree is genetic, not trained; it produces tightly packed spurs all along a main trunk, the growth being confined to a width of about 30-37cm. Tree height on semi-dwarfing rootstock is around 3m. Trees can be stopped at a convenient height in spring but a new leader rapidly forms if the tree has not attained its full natural height. This form of tree emanated from breeding programmes at Horticulture Research International, East Malling (formerly East Malling Research Station), using a specific compact form of ‘McIntosh Red’ as one of the parents. Trees have appeared under various overall group trade names. No pruning is needed though eventually some spur thinning may be necessary. Any lateral shoots produced should be entirely cut out in the summer, or they will spoil the tree’s growth pattern, which clearly offers the possiblity of growing apples in very confined spaces. The trees are self-supporting once established, unlike the cordons to which they may be likened in principle for compactness. They are ornamental in both flower and fruit but in 1990 the flavour of the cultivars offered was not outstanding. A purely ornamental crab apple cultivar, ‘Maypole’, with dark red flowers and red-purple fruit, is also available. Soil management is important. For the garden it is preferable to site trees in isolation (rather than incorporating any underplanting, as for example with bulbs.). This allows positive action to be taken (e.g. mulching, applying fertilisers, spraying, applying herbicides, etc.) without risk of damage to other plants. Trees in lawns will require increased supplies of nitrogen to compensate for competition from the grass; it is also essential to mow the grass regularly allowing the grass cuttings to lie and rot as a mulch in the area covered by the tree and for about 2m beyond. The need for irrigation will be greater than where no grass is present. Equally, weed control is important, especially in the successful and quick establishment of young trees. Heavy mulching with rotted farmyard manure, garden compost, peat, leafmould, also mushroom compost (not on alkaline soils), will assist markedly in conserving soil moisture and smothering weeds with manure, also being of great benefit nutritionally. Application of a mulch is best done in early spring on a warming, moist soil, but keeping the material clear of the tree trunk. Under normal garden conditions weed control is best affected by timely hoeing; only in large areas should the use of herbicides be contemplated. Their use calls for precise judgement and application; mistakes can be costly and cause long-term difficulties, even loss of the trees concerned. Under commercial conditions in Britain and other wetter climates a grass sward is developed through the orchard. Herbicides, either along tree-rows or around individual tree bases in wider plantings, keep these areas under clean, undisturbed cultivation. Special mixtures of grass, often with clover, are used as is the ‘tumble-down’ method where, commencing with clean cultivation, indigenous grasses are allowed to establish. The grass mixtures have tended recently to include less vigorous bents and fescues as an aid to reducing mowing frequency. Mowing is done once grass is 15cm or so high, allowing the mowings to lie as a mulch. The advantages of grass are several: ease of passage for machinery in wet conditions, less soil erosion, control of weeds (through regular mowing) and improved colour and keeping quality of the fruit. However, where local experience and topography support the concept, a system of overall weed supression giving a completely clean, bare orchard floor is possible. Moss formation, induced by repeated herbicide applications causing increased acidity in the top ‘skin’ of soil, will develop widely and is useful in preventing serious soil erosion, but tree health needs watching where pH levels fall too far. The main advantage of such a system is the elimination of mowing, although such areas will usually have been grassed down initially to help bind the soil. The grass is then killed with herbicide. In the hotter, drier areas of Australia, South Africa, and the US, regular irrigation will be called for and the maintenance of a permanent sward is not possible. Frequently, a natural, seasonal ‘tumble-down’ sward develops where climatic and soil conditions allow. Trained trees (cordon, dwarf pyramid espalier, etc.). Essentially, growth is controlled by summer pruning. The timing of this is important since if completed too early secondary growth will form rather than fruit buds. Congestion of spurs will occur with age and winter pruning to thin out old wood will then be necessary. Free-growing trees (bush, spindlebush, half-standard, etc.). The aim in all cases is to maintain an even balance between the amount of new growth and the amount of fruit bud formation and also tree shape with well-spaced branches. Where growth is excessive, pruning should be less; where fruiting is excessive, more pruning will be necessary. In both cases account must be taken of nutrition levels and any adjustments to these that excessive or inhibited growth may call for. Pruning is done following leaf-fall until late winter and should include the removal of any low, dead, diseased, broken or crossing branches or growth. Strong-growing trees may need only the removal of growths crowding the centre of the tree (keeping this open is important to ensure maximum light reaching all parts of the tree) and any that are crowded or crossing. Weaker growing cultivars will require tip-pruning of branch leaders, by up to one-quarter of the new growth, and the shortening of some (not all) laterals. Prune to an upward-pointing bud on branch leaders of spreading or drooping cultivars. Always adjust the level of pruning to suit tree performance as indicated above. On older trees spur systems will become overcrowded and some thinning of these, even complete removal, will be called for. Delayed open-centre, half-standard, standard. The principles are the same as for Bush (above). In most cases tree size and growth will be greater and over-hard pruning must be avoided. Although numerous variations of this form of tree exist, the overall shape is always conical or pyramidal. Pruning and training must always aim at maintaining the dominance of the lower branches, which should be permanent, whereas those at higher levels are more frequently pruned hard to induce replacement growth from or near the central stem. This ensures maximum light reaching all parts of the tree. Pruning on the lower permanent branches is also on a renewal system replacing older laterals by cutting back to near their base to ensure a continual supply of young shoots. Any excessively vigorous branches are best removed during the summer when, in addition, weighting or tying down of other vertical growth is advisable. Treatment required will depend on the state of growth, the same general rule applying – vigorous growth calls for less pruning, weaker growth more pruning. An approach that is usually easy to apply is to remove any low branches, any diseased dead or damaged branches, and any crowded or crossing branches. On an overgrown tree, this will often be sufficient as a first step. In subsequent years more detailed pruning can be done – including removal of other crowded or crossing growths, shortening or removal of worn-out and overgrown spurs. Removal of large branches often induces the formation of water shoots in profusion around the circumference of the cut and nearby. The easiest way to eradicate these is to rub them off by hand just as they are starting to shoot in the summer. The process of dehorning (the shortening of longer branches) may by judicious on a limited scale. 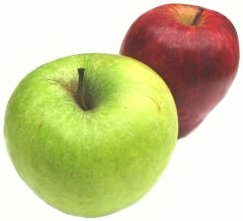 Apples require adequate and balanced supplies of a wide range of elements, but in particular nitrogen, potash and magnesium. Any excess can cause imbalance problems (e.g. between potash amd magnesium), but the better the soil the greater the reserves of most plant foods and the less the need for any regular application of fertilisers. Nitrogen should not be applied where growth is strong. For soils with pH 6.5 or higher use sulphate of ammonia; for those with less than pH 6.5 use nitro-chalk; in both cases at 30g/m² in early to mid-spring. 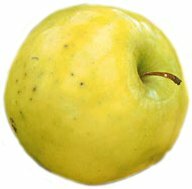 Potash should be applied in the form of sulphate of potash (muriate of potash should be avoided on apples) at 30g/m² in alternate years in winter or early spring. Where magnesium deficiency is present the quickest remedy is to spray with magnesium sulphate at 450g in 22.5 litres of water plus a spreading agent at petal-fall and repeat three weeks later. However, the treatment is required annually and for longterm correction ground applications of magnesium sulphate at 60g/m² are advisable, although any take-up by trees is slow. Note that sulphate of ammonia and magnesium sulphate are acid in reaction and therefore useful in high pH conditions. The need for applications of phosphorus is normally less and superphosphate at 90g/m² every three years or so should be adequate. The use of well-rotted farmyard manure as an occasional feed is invaluable on poorer soils. Apply as a surface mulch 10cm thick but only where growth is lacking. The fertility of apples depends on cross-pollination (by bees and other pollinating insects) between suitable cultivars, although in favourable climatic conditions self-fertility increases, particularly in certain cultivars (e.g. in the UK ‘Lord Lambourne’ and ‘ Ellison’s Orange’ and in the US ‘Golden delicious’ and ‘Jonathan’, among others). 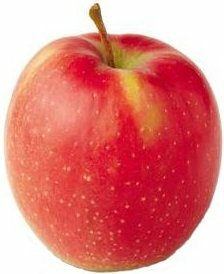 Apples are either diploid or triploid; the pollen from diploids is good for pollinating other cultivars, that from triploids is not. Apart from rare instances of incompatibility (e.g. ‘Cox’s Orange Pippin’ and ‘Kidd’s Orange Red’ will not successfully pollinate each other) any two diploid cultivars will cross-pollinate successfully provided that their period of flowering overlaps sufficiently. For teriploids at least two diploid cultivars with similar flowering periods are essential, the two pollinating each other as well as the triploid. This requirement is particularly important for isolated gardens with no neighbouring apple trees close at hand. Well-known triploid cultivars include ‘Blenheim Orange’, ‘Bramley’s Seedling’, ‘Crispin’, ‘Jonagold’, ‘Ribston Pippin’ and ‘Warner’s King’. Apples are propagated either by budding or grafting. Budding, either ‘T’ or chip, is the usual practice with grafting held in reserve for use on stocks where buds may have failed. Seedlings can be raised without difficulty but do not breed true and only a minute percentage prove to be any improvement on the many excellent cultivars already available, and may take up to 8-10 years to commence fruiting. Some cultivars will root from cuttings, even from larger portions of the tree, but the need for rootstocks has always been recognised both to simplify successful propagation and to induce resistence to disease, and more recently to control ultimate tree size and earliness into cropping. It is also important to use virus-tested rootstocks and scion material where this is available (e.g. by the East Malling/Long Aston/EMLA Scheme in the UK). Fruit thinning is essential where heavy crops are likely. This improves fruit size and where done early enough encourages return bloom the following year (otherwise heavy crops can induce biennial bearing, as can climatic factors such as frost). Thinning the fruits by hand or with scissors is best done immediately following the ‘June Drop’, a natural shedding of fruitlets by the tree in early summer. Thin individual clusters to one fruit, usually removing the ‘king’ or central fruit because in short-stalked cultivars it is often malformed at the stalk end; some cultivars like ‘Golden Delicious’ have long fruit stalks and there is no need to remove the king fruits. Later, thin fruits to 9-15cm apart for good-sized dessert fruits and 15-22cm for larger looking cultivars. 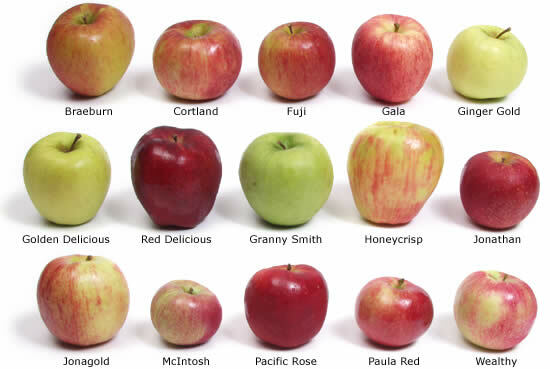 The larger spacings apply to those cultivars that are naturally large-fruited. Commercially, chemical thinning agents can be applied as sprays at the early fruitlet stage. Heavily laden branches must be tied to support poles to avoid breakage. Fruit must be harvested with extreme care to avoid bruising and only when it parts readily from the tree. Broken stalks or spurs indicate that picking is premature. Early cultivars require particular attention since fruit drop can occur overnight if picking is delayed; also, only a brief period elapses before flesh texture deteriorates. Picking should always be within the palm of the hand, not with fingers and thumb. Commercially, fruit that is destined for special storage conditions requires picking comparatively early and checks on sugar/starch ratios of the fruit will indicate correct timing for this. Picking too early will cause premature shrivelling of the fruit and loss of flavour; picking too late will forshorten the season of use and result in loss of flesh texture. Successful storage will depend on the season of use of the particular cultivar, on the soundness of the fruit, and on conditions that are dark, constantly cool (approximately 3.5-4.5ºC) and slightly humid. The use of polythene bags (150 gauge) is a valuable aid, particularly in modern dwellings where the two latter conditions are impossible to meet. Some 2-3kg of fruit are placed in each bag, the mouth of which is folded over, not sealed. One or two small holes should be made in the bag to allow for some aeration. All stored fruit requires regular checking so that any rotting specimens can be removed. Commercial establishments use cold air stores for the storage of fruit for up to three months following picking; for long-term storage, controlled atmosphere (CA) storage is employed where concentrations of oxygen, carbon dioxide, etc. are maintained at specific levels. Apples in Britain and Europe are subject to attack by five species of aphids: the rosy apple aphid (Dysaphis plantaginea) has pink to grey aphids which infest blossom in spring and cause fruit distortion; the rosy leaf-curling aphid (Dysaphis devecta) has blue-grey aphids associated with tightly curled leaves; the applegrass aphid (Rhopalosiphum insertum) has yellow-green aphids which cause leaf-curling and yellowing of the foliage; the green apple aphid (Aphi pomi) has bright green aphids which mainly colonise young plants; the woolly aphid (Eriosoma lanigerum) produces colonies covered by a white, woolly wax that cause underlying tissue to become swollen, distorted and cracked, allowing the entry of pathogens such as dieback and canker. The woolly aphid is widely distributed in apple-growing regions of the world, and in North America colonies invade the roots as well as the foliage. Other specific pests, or pests that mainly attack apple, include apple sucker (Psylla mali), which has flattened green nymphs that invade flower and leaf buds in spring, causing injury to blossom similar to frost damage; the apple capsid (Plesiocoris rugicollis), which causes irregular raised bumps on the fruit; apple blossom weevil (Anthonomus pomorum), with larvae that feed within the blossom and prevent the opening of the petals, which turn brown (capped blossoms); the apple leaf midge (Dasineura mali), with small pink larvae in rolled leaf edges; codling moth (Cydia pomonella), a world-wide caterpillar pest of apple which causes maggoty apples; apple sawfly (Hoplocampa testudinea), which causes similar damage but attacks earlier in the season at the fruitlet stage, and the apple rust mite (Aculus schlectendali, a gall mite), also present in North America, which causes severe russetting of fruit, particularly around the stalk. Other important pests are less specific and include the fruit-tree red spider mite (Panonychus ulmi), present in most fruit-growing areas of the world, causing bronzed foliage and premature leaf fall in heavy infestations; caterpillars of the winter moth (Operophter brumata and related subspecies) which feed on leaves and blossom in spring; the caterpillars of tortricid moths (several subspecies), which form shallow regular cavities in the side of maturing fruits and, in North America, San José scale (Comstockaspis perniciosa). Occasional pests, or pests that are usully less serious, include scale insects, especially mussel scale (Lepidosphes ulmi) and oyster scale (Quadraspidiotus ostraaeformis) in Europe and North America; several leaf-eating caterpillars including the vapourer moth (Orgyla antiqua), the tent-feeding larvae of ermine moths (Ypnomeuta subspecies), the clouded drab moth (Orthosis incerta), the grey dagger moth (Acronicta psi) and the eyed hawkmoth (Smerinthus ocellata); several species of leafhoppers including the rose leafhopper (Edwardsiniana rosae); the red and black froghopper (Cercopsis vulnerata), and the apple leafminer (Lyonetia cleckella). In addition, stems may tunneled by wood-boring caterpillars of the leopard moth (Zeuzera pyrina) and fruits attacked by the common earwig (Forficula auricularia), wasps (Paravespula subspecies) and birds. Apples can be affected by armillaria root rot (Armillaria subspecies), black rot (Botryospaeria obtusa), blue mould and other storage rots (Penicillium and other fungi), bitter rot (Glomerella cingulata and Gloeosporium subspecies), brown rot and blossom wilt (Sclerotinia fructigena and Sclerotinia laxa f. sp. mali), canker (Nectria galligena), collar rot (Phytophthora cactorum and Phytophthora syringae), coral spot (Nectria cinnabarina), crown gall (Agrobacterium tumefaciens), fireblight (Erwinia amylovora), fly speck (Schizothyrium pomi), grey mould (Botrytis cinerea), powdery mildew (Podosphaera leucotricha), scab (Venturia inaequalis), silver leaf (Chondrostereum purpureum), sooty blotch (Gloeodes pomigena) and white root rot (Rosellinia necatrix). Apples are also affected by various unknown but graft transmissible agents which cause apple green crinkle (the fruit is dimpled and may crack), apple rough skin, apple star crack, apple leaf pucker and apple flat limb as well as viruses such as apple mosaic (yellow leaf spots, blotches, line patterns and vein banding especially on ‘Lord Lambourne’) and diseases caused by maycoplasma-like organisms such as apple chat fruit (fruit remains small and green), apple proliferation (causes witches’ brooms) and apple rubbery wood (shoots flexible and rubbery and bend downwards when in fruit). These viruses and related diseases are unlikely to be of importance to the gardener especially if virus-free plants can be obtained. When new apple trees are planted on land where apples have grown previously the new plants may have a reduced root system resulting in poor growth and cropping. This so-called specific apple replant disease is caused by species of the fungus Pythium, especially Pythium sylvaticum. The diseases of apple are also likely to occur on other cultivated Malus subspecies.